Muscular man bodybuilder. 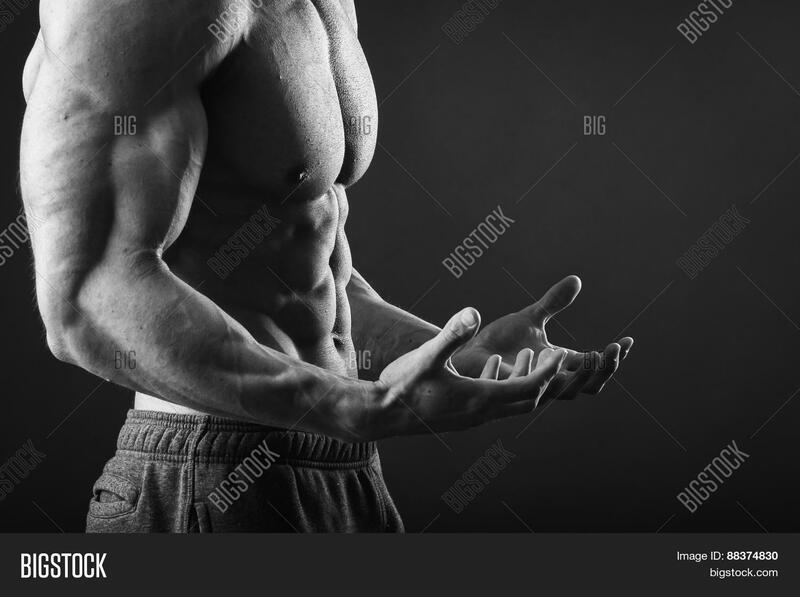 Man posing on a black background, shows his muscles. Bodybuilding, posing, black background, muscles - the concept of bodybuilding. Article about bodybuilding.